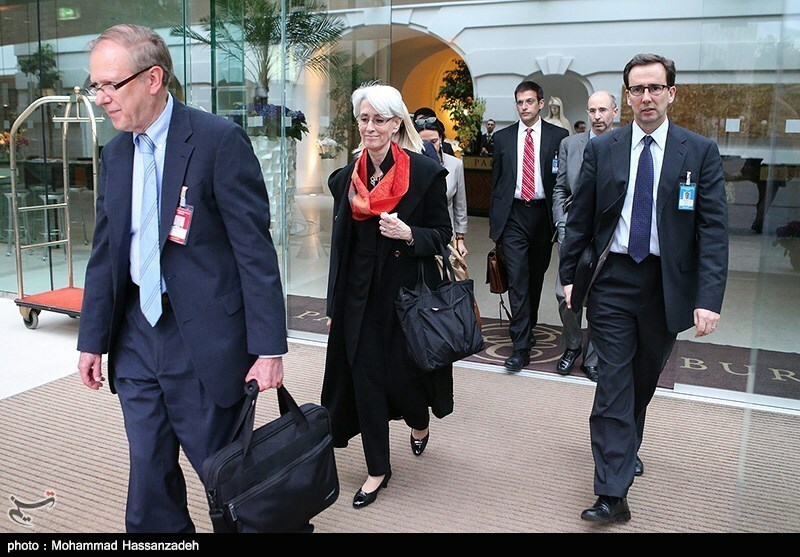 Vienna__ A senior U.S. official took a tougher line on prospects for reaching a final deal as negotiators from Iran and six world powers arrived here to begin the first drafting round towards a comprehensive Iran nuclear accord. “Frankly, this is very, very difficult. Though we are drafting… it does not mean agreement is imminent,” the U.S. official cautioned. “There are a range of complicated issues to address. We do not know if Iran will accept” taking the steps necessary. I am not optimistic or pessimistic, but realistic, the US official said, in answer to a question about what seemed a notably less upbeat forecast about prospects for reaching a compromise than in recent earlier rounds focused more on agenda-setting. She was also reacting to what she said was speculation in the media about provisional agreement reached on aspects of a final deal, such as a solution to the Arak reactor, and a growing sense of optimism in media reports that a deal would be reached. The US official’s less upbeat tone on prospects for reaching a final nuclear deal is both meant to manage expectations as the hard bargaining really begins, and because serious differences remain in the two sides’ positions, said Ali Vaez, senior Iran researcher at the International Crisis Group, and lead author of a major new report on solving the Iran nuclear issue, released last week. 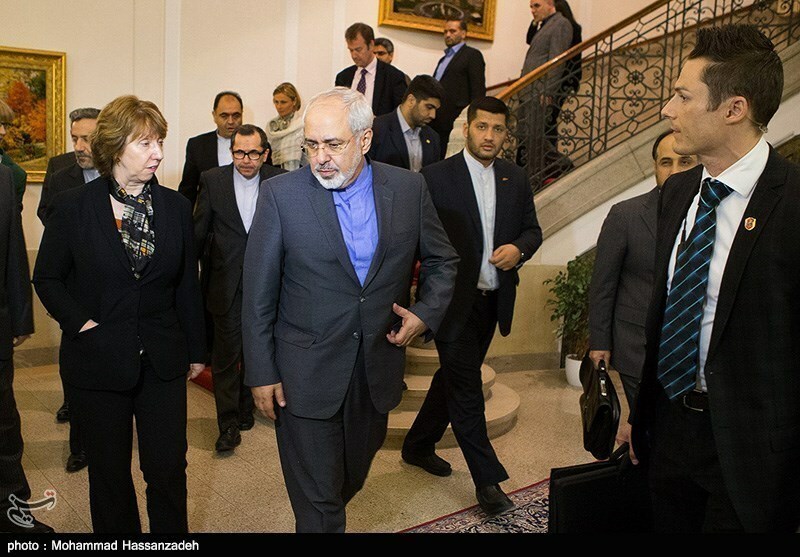 This, the fourth round of final deal talks, kicked off Tuesday night with a dinner between Iran Foreign Minister Mohammad Javad Zarif and European Union foreign policy chief Catherine Ashton and their top aides at the office of the Iran mission to the UN in Vienna. The full meeting begins Wednesday with a plenary meeting involving political directors from the P5+1 and Iran, chaired by Ashton and Zarif at the UN. It’s expected to continue at least through Friday. Zarif, arriving in Vienna Tuesday, told Iranian media he expected at least three more rounds of political director talks before July 20, but those dates have not yet been announced. Israel increasingly expects that a nuclear deal between Iran and six world powers will be reached, and has raised concerns with U.S. interlocutors about monitoring and enforcement of the deal, former American officials and Iran policy experts involved in recent discussions with the Israelis tell Al-Monitor. While Israel’s official position remains that the only acceptable Iran nuclear deal would be “zero, zero, zero,” – meaning no centrifuges, domestic uranium enrichment or plutonium, or the facilities to produce them—former American officials and experts involved in recent consultations with the Israelis detect that Israel’s position on the matter has shifted as the prospect of a deal being reached has increased. Israeli officials are now focusing on concerns of what happens if a deal is reached, how can monitoring and verification be sufficient to detect if there is a violation, and how would such violations of an agreement be deterred or punished, at a time when Israel assesses U.S. credibility as weakened on the world stage, including because of events in Ukraine and Syria. Most Israeli officials and experts “seem to understand that ‘zero, zero, zero’ is not going to happen,” a member of a US group of experts and former senior officials recently in Israel for consultations, speaking not for attribution, told Al-Monitor in an interview this week. They seem “to understand that there is a need for a domestic, indigenous civil nuclear program….for the Iranians to” deal with their domestic opposition. “Israel is very concerned about the current discussions with Iran because all signs point to the P5+1 accepting a deal that will leave Iran’s nuclear weapons capability intact,” Israeli ambassador to the U.S. Ron Dermer told an Anti Defamation League conference this week. “On substantive issues, there is probably room for maneuver,” a senior former US diplomat involved in the April consultations in Israel told Al-Monitor on condition he not be named, referring to Israel’s requirements for an Iran nuclear deal. “But two issues are going to be very hard to persuade the Israelis on,” the former American diplomat continued. “Monitoring: There is very little belief anywhere in Israel that [a comprehensive nuclear] accord can be monitored… that ensures there is not going to be clandestine activity, and the Iranians [could] not break out” at some phase. “That is a serious concern,” the former US diplomat said. “I don’t want to minimize it, because monitoring is going to be a huge problem. How long did we not know about [aspects] of [Iran’s] clandestine program,” such as Iran’s underground enrichment facility at Fordo, which Iran did not declare to the IAEA until days before the U.S., UK and France publicly exposed it in 2009. The Iran policy expert said it was her group’s assessment that while the Iran nuclear negotiations are ongoing, there won’t be a unilateral strike by Israel. “While they are ongoing,” she repeated. There continues to be a lot of “frustration” from the Israeli side that they will be “profoundly impacted” by a nuclear deal, even though they are not in the room for the P5+1 talks with Iran, nor do they feel the U.S. was forthcoming with them about secret US-Iran bilateral contacts leading up to the interim nuclear deal last fall. Israeli officials felt deeply betrayed that their US counterparts were not more forthcoming with them last year about the extent of secret US-Iranian bilateral contacts on a nuclear deal. The U.S. has said the secrecy was necessary to maintain the sensitive bilateral channel, and they did not mean to be deceptive. However, a sense of betrayal may have contributed to Israeli distrust and denunciations of the interim Iran nuclear deal reached in Geneva last November, US and Israeli sources have told Al-Monitor. The US and Israel have been working to try to rebuild trust that took a hit over the Iran back channel episode. If a nuclear deal is reached that allows Iran to maintain a nuclear threshold capacity, it could emerge from economic sanctions and seek European and Japanese technology to develop itself as an industrial power, while maintaining antagonistic policies in the region, Israeli sources have described official thinking in interviews this week. Israel and Sunni powers fear Iran would be empowered by the lifting of sanctions after a prospective nuclear deal, while sponsoring actions and proxy groups that pose a threat to their stability, and competing for power and influence in the region and beyond. Former US and international officials involved in track 2 conversations with Iran have been considering the utility of such a format to try to address deep regional mistrust of Iran amid the growing prospect that it could emerge from diplomatic and economic isolation if a nuclear deal s reached. 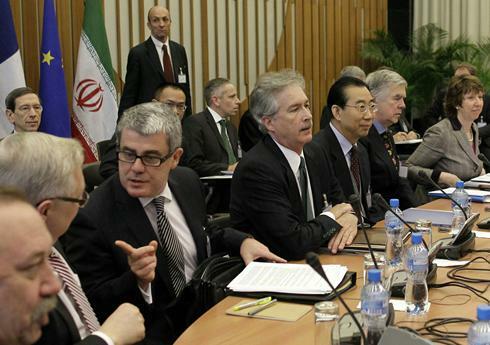 Iran and six world powers have advanced through the first phase of comprehensive nuclear talks and are preparing to shift into the next phase of drafting a final deal accord starting at the next meeting in May, negotiators said in Vienna Wednesday. “We have now held substantive and detailed discussions covering all the issues which will need to be part of a Comprehensive Agreement,” European Union foreign policy chief Catherine Ashton said in a joint statement with Iranian Foreign Minister Mohammad Javad Zarif at the conclusion of the third round of talks in Vienna Wednesday. “A lot of intensive work will be required to overcome the differences which naturally still exist at this stage in the process,” Ashton said, in a statement subsequently delivered by Zarif in Persian. “I can say we agree on 50 to 60 percent of issues, but the remainders are important ones and diverse,” Iran’s Zarif said in a subsequent briefing to Iranian journalists Wednesday. The next meeting, to be held in Vienna starting May 13th, will be open-ended, diplomats said. The U.S. delegation plans to be there at least a week, a senior U.S. official said, and Zarif suggested it could last up to ten days. “I think…both Zarif and Ashton are trying to manage expectations, because in the past few days, there have been rumors about the parties starting the drafting of the final agreement as of May, and this created the illusion of agreement,’ Ali Vaez, senior Iran researcher at the International Crisis Group, told Al-Monitor from Vienna Wednesday. “From this point on, [they] get into the real bargaining part of this process,” Vaez said. Secretary of State John Kerry, speaking to the Senate foreign relations panel Tuesday, described the final deal negotiations as at the “halfway” point, and said he remained “agnostic” about whether they would result in an agreement.